Testing today’s networks requires a supertech. EXFO understands that technicians need to span various mediums, layers and technologies. With this reality in mind, EXFO designed the FTB-200 Compact Platform for multilayer, multimedium testing. A vital strength of the supertech lies in the resources at hand and ability to adapt quickly. The FTB-200 has an open architecture that provides abundant options and excellent adaptability for multimedium and multilayer testing. The FTB-200 is the most complete compact platform on the market. Equipped with testing applications covering both fiber-optic and copper mediums, supertechs will find that they need only one tool to complete the most important testing and troubleshooting tasks. 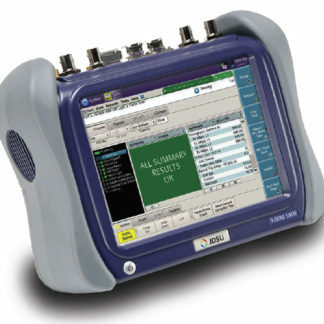 Using transport and datacom analyzers, you can test the latest standards of Ethernet and SONET/SDH/OTN networks. The FTB-200 can also be used to test Gigabit and 10 Gigabit Ethernet for quality of service (QoS) assurance. Various methods of transferring information, acquiring upgrades, etc.